No matter how attractive and engaging your website is, with the amount of competition available, it may be difficult to attract an audience. An excellent way to draw and increase traffic is through top rankings on search engine return pages or SERPs. This is accomplished through professional search engine optimization. 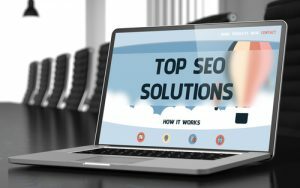 SEO utilizes a variety of techniques that involve letting search engines know that your site exists and that it should be displayed at the top of rankings. Achieving this in the correct and ethical way is known as a white hat strategy. Exploiting the ways search engines work by making your competition appear guilty is called black hat SEO or SEO sabotage. To bring targeted traffic to your site it is important to have great content that is published regularly. You must also participate in social media forums, have valid links to both internal and external sources and take advantage of the most popular and creative keywords and keyword phrases that attract search engine crawlers and place them in the web page title and in headers. Unscrupulous ways to draw a larger online audience include the excessive use of meta tags, stuffing keywords or keyword overuse, invisible text, irrelevant keywords, misdirection of web pages, page stuffing and selling links. Search engine optimization must have the proper balance between attracting viewers to the website and satisfying search engine spiders. This is best achieved with a firm that is experienced in SEO and that utilizes white hat strategies for optimum success. Top Marketing Agency has years of expertise and success with search engine optimization techniques for numerous types of businesses. Allow our team to work with you to increase your website traffic and increase your revenue at the same time. Call us at (888)843-9840.